I have my hands on one of the most sought after palettes this coming season. No, it's not $30, $40 or even $50 like some of the palettes you'll find at Sephora. It's only five dollars and it's a true drugstore gem. 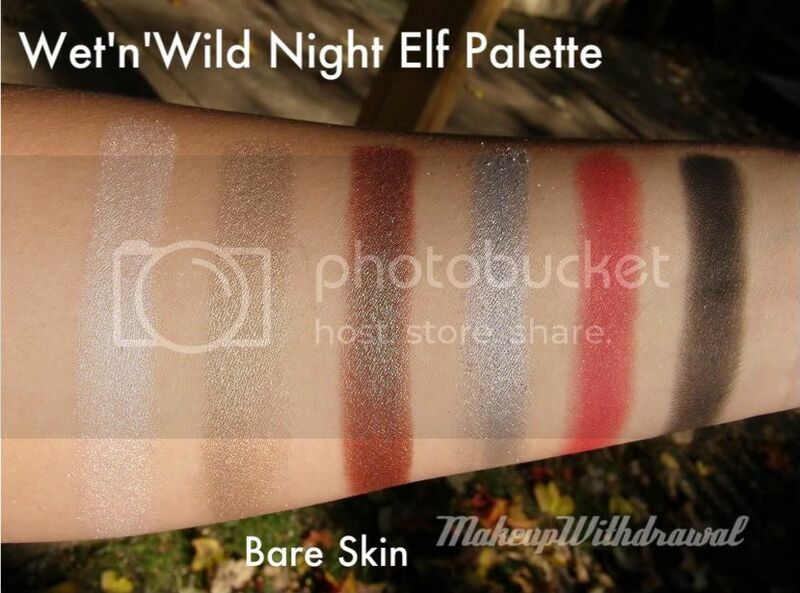 This season (rather, right now) Wet'n'Wild has four limited edition palettes to celebrate the holidays. 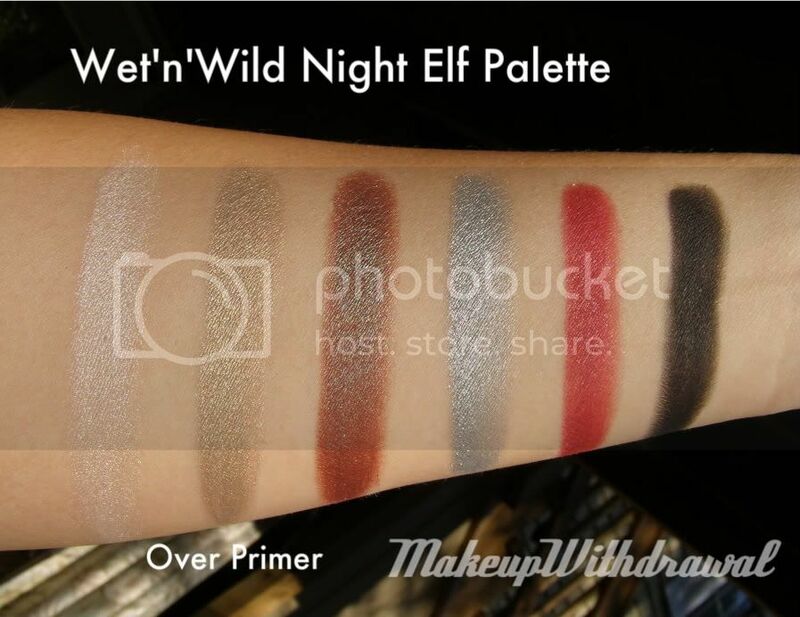 Now, I bought the palette named Night Elf. Now, to be perfectly honest I didn't think this palette was really well coordinated like the other palettes. There's everything from a bright red to a shiny silver and even a brown/green duochrome in there- kind of mismatched. That's ok though, all the colors are of such good quality that I don't even mind. Another thing is that the name, Night Elf seems... odd, for this set of shadows. To be fair, when I think of night elves- my World of Warcraft playing kicks in and I think of a seven foot tall purple Alliance player with long ears that can Shadowmeld, but that really has nothing to do with beauty or anything, and I'm guessing the average eyeshadow wearer doesn't think of that at all. Pictures taken outside, no flash, direct sunlight. There's a frosty cream shade, a shimmery tan, a reddish brown/green duochrome (supposed MAC Club dupe), a metallic silver, a shimmery bright red and a black with silver sparkles. So far, I haven't come up with a way to use that awesome red shade or the impressive silver. 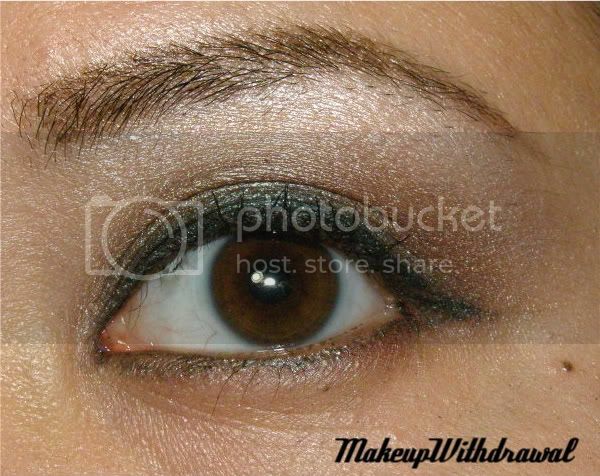 I did however, use the cream, tan and the Club color in an EOTD a few days ago. 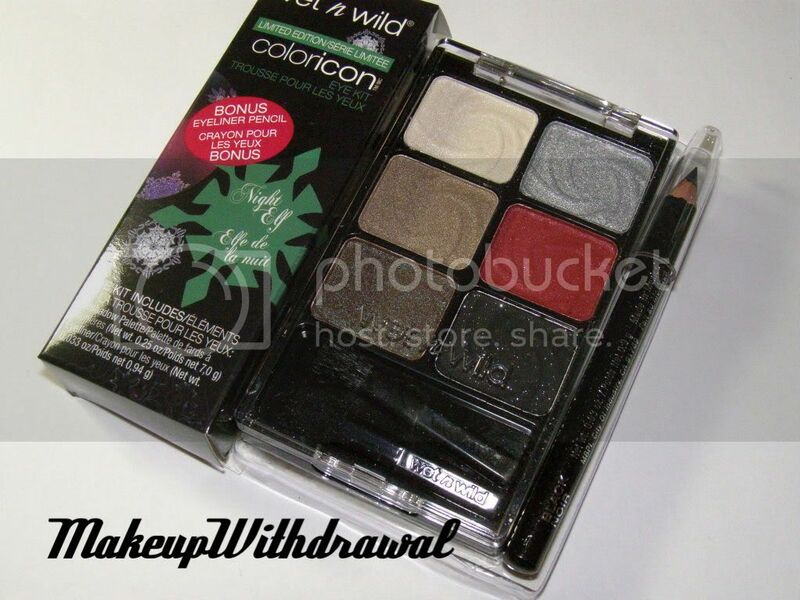 This palette also comes with a ColorIcon black liner. It's not half bad- super soft and smudgey but at least it doesn't drag on my eye lid like some other waxy liners. So once again, I want to stress how great a palette this is. All the shades are very pigmented and easy to use. There's a lovely duochrome shade that I'm especially fond of, as well as a stunning red- and good red eye shadows are so hard to find! All this for $4.99. What a steal! Now, I found this palette at Walgreens and I've also seen it at Wegmens (for those of you living on the East Coast area). Definitely pick this palette up or any of the other LE holiday palettes if you get a chance. Have you seen Night Elf anywhere? Or any of the other palettes? Do you like it? 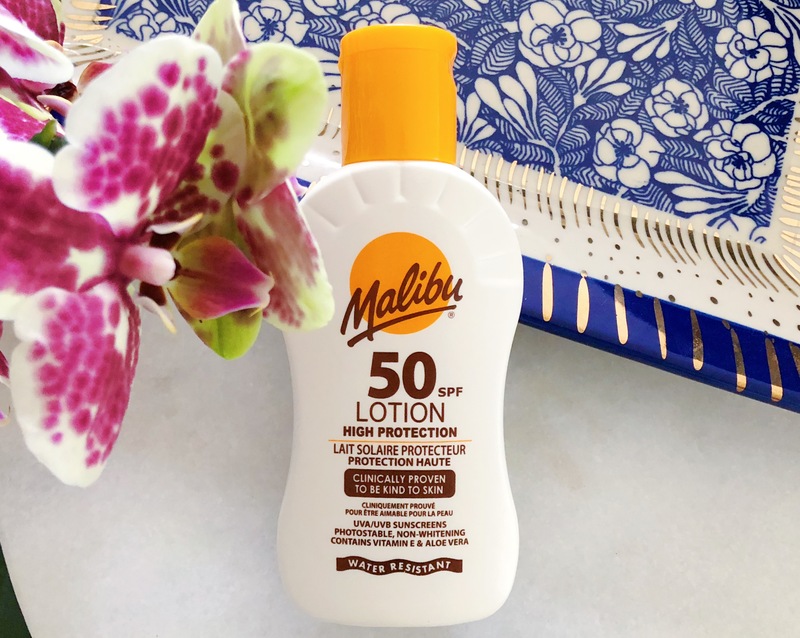 Product featured was purchased by me, for my own use. Zoya Mimi - It's Like it Was Made For Me!